Have ideas on how we might use tech, design and new business models to guarantee healthy, safe and sufficient food for everyone? We want to hear ’em! 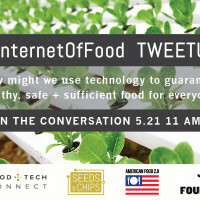 Join us, Seeds&Chips, AgFunder and the James Beard Foundation for our #InternetOfFood Tweetup (twitter party) on Tuesday, April 5 from 11 AM to 12 PM ET using the hashtag #InternetOfFood. We will also have a few exciting special guests (TBD) joining the conversation to share their ideas on how we can build a better food future. Topics for discussion will include innovative ways technology can help democratize sustainable food, the role AgTech can play in feeding the world, how we can make sustainability integral to the dining decision process and how urban/indoor farms help reduce waste and feed the planet. 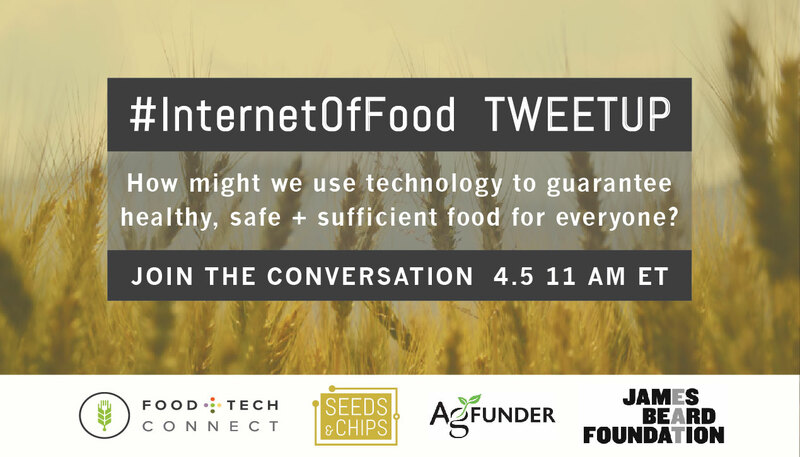 Want to get more involved in the #InternetOfFood conversation? 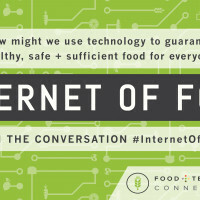 We’re inviting entrepreneurs, investors and innovators across the food system to respond to the question “How might we use technology, new business models and design to guarantee healthy, safe and sufficient food for everyone?” in our ‘Internet of Food’ editorial series. And we want to hear from you, too! 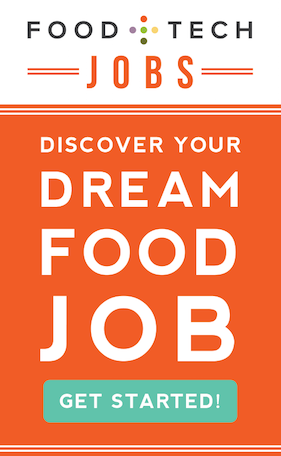 Share your ideas in the comments below, on your own blog (share a link here in the writing sample section) or on Twitter (#internetoffood), Facebook, Instagram or LinkedIn. And make sure to follow the conversation by subscribing to our newsletter. 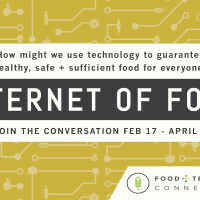 We can’t wait to hear your thoughts on the #InternetOfFood!